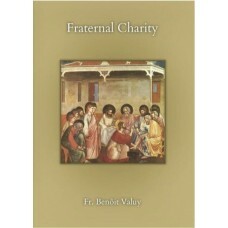 His work includes the writings of the Saints who show religious (and all of us) the necessity of charity towards all. As an example, in discussing the problems of uncharitable speech, St. John Climacus states: For mercy’s sake cease such conversation! How would you wish me to stone my brethren—me, whose faults are greater and more numerous?” We should treat others as we would want to be treated. It is such a basic principle yet how few take it to heart!"